Global risks remain high. Global supports remain strapped. What are the results? Markets remain volatile and skittish. Why? 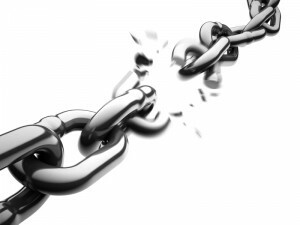 Our global economy along with our domestic economy remain under the pressure of massive debts and deficits across the sovereign, corporate, and consumer spectrum. Global governments can not prop economies and markets forever, try as they might. Can 2010 successfully transition from these total government supported and propped markets to a hoped for return to private enterprise with private capital? The year to date results of this transition are not pretty. We remain a long way from being out of the woods. Pack lightly and lets navigate. Are emerging markets now the teacher instead of the student? As such, are recent developments in select emerging markets signaling a turn in our markets? 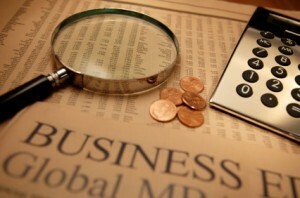 Let’s look closer and navigate this corner of our global economic landscape. Recall that the global market turmoil of 1998 was precipitated by the devaluation of the Russian ruble. As that domino fell, global markets and economies reacted violently. Here in the United States, the meltdown in the broad market caused the failure of the hedge fund Long Term Capital Management. In hindsight, many believe the Fed-orchestrated takeover of LTCM by Wall Street banks set the table for the massive increase in leverage on Wall Street which led to the current crisis. However, what were the lessons learned in the emerging markets from the 1998 crisis? Many emerging markets were effectively forced to take support from the IMF as a result of the 1998 economic meltdown. The IMF support came with many strings attached. 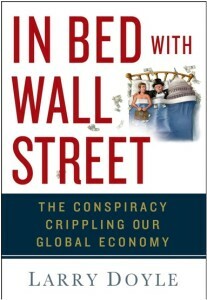 Those strings were tied to strict controls and onerous burdens imposed on many emerging market governments. Having been forced to live under these burdens once, these governments do not want a visit from the IMF again. As such, they have done a much better job at getting their fiscal houses in order and keeping them in order. Many other governments primarily in the Western hemisphere, including the United States, should have done the same. Brazil is increasingly concerned by the flow of capital pouring into its economy. Why? Isn’t that a good thing? Well, when the money is ‘fast money’ (meaning largely speculative) and it drives a nation’s currency dramatically higher, it can have an extremely negative and potentially destabilizing impact on a nation’s trade flows, primarily its exports. Let’s navigate. There is no doubt the global markets are being driven largely by the cheap funding that is emanating from the United States. The oft-repeated statement by Fed chair Ben Bernanke that he will leave the Fed Funds rate unchanged at 0-.25% for an extended period has provided real comfort to speculators, traders, and investors around the world. What are these market participants doing? Selling the U.S. greenback to purchase a variety of global risk based assets. While investors may like positive returns generated to date on their investments, rest assured foreign central bankers are significantly less enthused with the strengthening of their own currencies relative to the greenback. Why? While I think Washington is not disappointed in a relatively weak dollar, although they should be (”Dollar Devaluation Is a Dangerous Game”), other countries are not overly keen about further dollar weakness. Why? A weak dollar puts those countries in a marginally less competitive position in international trade. ECB President Jean-Claude Trichet voiced his concerns on this topic. Rest assured, the Asian nations feel the same way although they are careful in their comments. What Are Credit Suisse Clients Doing and Saying? High five to a good friend for sharing with us tremendous insights just released by Credit Suisse. While individuals can and should develop opinions on the economy and markets, the global flow of capital from investors (obviously central banks now count as investors given massive quantitative easing programs) will determine overall market levels. Let’s navigate and assess how Credit Suisse’s client base has positioned themselves and decipher what it all means. We are close to finishing our marketing trip in the US and Continental Europe—and take a look at the main issues our clients are focused on at the moment. 1. Caveated bullishness: Hedge funds appear optimistic (focusing on Q3 earnings as the next catalyst). Long-only funds seem cautious, while retail investors are buying bonds rather than equity. We feel there is enough scepticism to leave us bullish. LD’s comment: CS means bullish on equities. 2. Many asset allocators still prefer credit (bonds) to equity, so there is switching potential. LD’s comment: Asset allocators are money managers, investment advisors, et al. This comment translates into the fact that money which has been allocated to the bond market could move into equities causing a move higher in equities and a move down in bonds. 3. Investors’ main dilemma: Why have margins stabilised at such high levels? Most feel the reason is cyclical (leaving limited upside in earnings), but we suspect it could be more structural. LD’s comment: Margins refer to corporate profit margins. The fact that CS believes that profit margins are being supported by structural developments in companies and the economy is a VERY positive assessment as it indicates a change in the foundation of the global economy which would drive equities higher. 4. Economy: Very few clients are positioning themselves aggressively on a macro view. There is little confidence on final demand given the level of excess household leverage. A third of investors are bearish on US housing (too many, in our view). Clients still see inflation, not deflation, as the main risk. LD’s comment: investors would appear to be more cautious than optimistic with concerns that there is excess liquidity from central banks which will ultimately lead to inflation. 5. Consensus catalyst for next leg down is severe dollar weakness (LD’s highlight), leading to a US bond funding crisis or government tightening fiscal policy too early. Two areas of worrying consensus: 99% of investors appear to be dollar bears and nearly everyone believes the Fed will be very slow to raise rates. LD’s comment: if 99% of investors are dollar bears and are positioning themselves that way in one way, shape or form, then the dollar will find support. Why? When too many people are on one side of a boat, that boat tips. If the dollar does rally, then many ‘dollar carry trades’ may enter the ‘pain chamber’ and risk-based assets would likely sell off. 6. Regions: Strong consensus to be long of emerging markets (NJA is felt to have large upside potential if US retail sales recover and the dollar remains weak). Clients are more positive on Europe than they have been for the past two years. Investors have quickly capitulated on a tactically positive call on Japan. Renewed focus on domestic plays in dollar-linked countries (especially the Middle East). 7. Sectors: We believe most clients have a bar-bell type strategy. Consensus longs are tech and commodities/gold. We found far too many oil bulls for our liking. 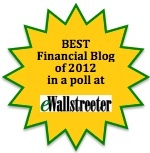 There is a huge variance of views on banks. Sectors where there is still doubt: life companies (too opaque), media, telecoms, steel and pharma. There were very few questions on defensives. 8. Style: Clients are looking for quality growth, shifting away from the credit-related plays. Overall, I view this report as decidedly constructive on the economy and markets, albeit with plenty of reasons for caution. Are all regions of the world improving? Will Asia lead the globe to greener pastures and brighter days? Well, if so, the trek through the fields will not be easy and we will encounter many storms along the way. While Australia’s raising rates yesterday is an indication of an improving economy in that country, as one moves out of Asia into eastern Europe we encounter a decidedly different dynamic. Let’s revisit the ‘weakest link,’ that being Eastern Europe in general and the Baltic nation of Latvia specifically. The Swedish krona and a range of eastern European currencies have tumbled as Latvia appears to edge closer to devaluing its currency. In a re-run of the last major devaluation scare, Latvia failed to attract any bids for one of its treasury bill auctions earlier Wednesday. The country’s treasury received no bids for its offer to sell eight million lats ($16.7 million) of paper maturing in April 2010. The poor auction results are the latest sign of economic stress in the Baltic nation, where the government is struggling to meet budget cuts required by the International Monetary Fund, the European Union and other bilateral lenders in return for aid. The Swedish krona, linked to Latvia through Sweden’s large banking exposure to the country, tumbled as news of the failed auction emerged. The euro extended earlier gains to reach a peak at SEK10.3670 against the krona. Meanwhile, Europe’s emerging market currencies, which often suffer from nerves over risk when Latvia’s problems intensify, also fell. The euro soared to over HUF269 against the highly risk-sensitive Hungarian forint, from under HUF267 at the start of the day. The euro also swept to over PLN4.24 against the Polish zloty, from a low of PLN4.18. The Turkish lira and, to a lesser degree, the Czech koruna, also weakened. The failed bond auction was “not good news,” said Nigel Rendell, a European emerging markets strategist at RBC Capital Markets in London. “It has all the makings of the final chapter in the Latvian story,” he added. In credit markets, the cost of insuring Latvian sovereign debt against default continued to climb from recent levels, in a sign that investors are increasingly uncomfortable with the outlook for the country. Regional peers Lithuania and Estonia, which also peg their currencies to the euro, saw their swaps spreads widen. Still, the debt and currency markets shouldn’t be overly troubled by Latvian devaluation risk, as the threat has been building for some time, and the global financial markets are now much more robust than they were several months ago. “If they did devalue, there would be a selloff [in eastern European assets], but the impact would not be as severe as it would have been six to nine months ago,” said Mr. Rendell at RBC. “If we had big currency moves, I think people would buy them back,” he added. Devaluation is also unlikely to catch the Swedish banks off guard. To brace for the potential onslaught of defaulting customers, both Swedbank AB and Skandinaviska Enskilda Banken AB have set up Baltic units to deal with problem loans and seized collateral. While officials may care to discount the impact of a full blown devaluation of the Latvian currency, the interconnectedness of the global markets has proven to be more of a risk propellant rather than a risk mitigant. How so? The use of derivatives across currency and credit markets has been shown to be as much speculative in nature as pure hedging. In fact, there certainly are market participants who will benefit by a Latvian devaluation. Can that devaluation, if it does occur, be well contained? UPDATE: The show has concluded, but you can listen to a recording in its entirety by clicking the Play button on the audio player below. Once the playback has started, you can fast forward or rewind to any portion of the show by clicking at any point along the play bar. 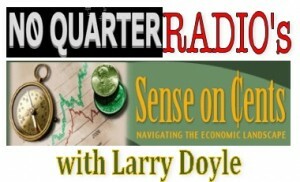 Please join me this Sunday evening July 26th from 8-9pm for my weekly internet radio show, No Quarter Radio’s Sense on Cents with Larry Doyle. For our newer readers and listeners, this show is a weekly one hour discussion, commentary, and review of the markets, economy, and world of global finance. Call-ins and a chat room promote active Q/A. This week I have a very special guest. Allow me to introduce a man who, in the world of international finance, needs no introduction: Dr. Paulo Vieira da Cunha, renowned emerging market economist of Tandem Global Partners. Former Deputy Governor of the Central Bank of Brazil and one of three Monetary Policy Committee Members, Dr. Vieira da Cunha was Brazil’s representative at the G-20 meeting of Central Bank Governors and Finance Ministers until January 2008. Dr. Vieira da Cunha is a visiting scholar at Columbia University and a consultant to the International Monetary Fund (IMF). For nearly a decade, he produced and managed research on Latin America for the global securities industry, first at Lehman Brothers and later at HSBC where he managed research teams in Buenos Aires, Mexico City, New York, and Sao Paulo. Dr. Vieira da Cunha had a distinguished career at the World Bank where he was Senior Adviser to the Chief Economist, Nobel Laureate Joe Stiglitz from 1993 to 1996. From 1996 to 1998 he was the Lead Economist for Mexico and also had operational assignments on Russia, Turkey, and Uganda. Prior to joining the World Bank, he was the CFO of a large state enterprise in the state of Sao Paolo (Prodesp) as well as advisor to the Secretary of Budget and Finances on the issues of renegotiation of domestic and foreign debt. Earlier in his career he held senior positions in the government of the State of Sao Paolo. To say that I am excited to have Dr. Vieira da Cunha on NQR’s Sense on Cents with Larry Doyle this Sunday evening would be a gross understatement. With the emerging markets leading the world at this juncture, there is much to navigate in this sector of our economic landscape. Dr. Vieira is uniquely qualified to provide perspectives and insights not commonly found.